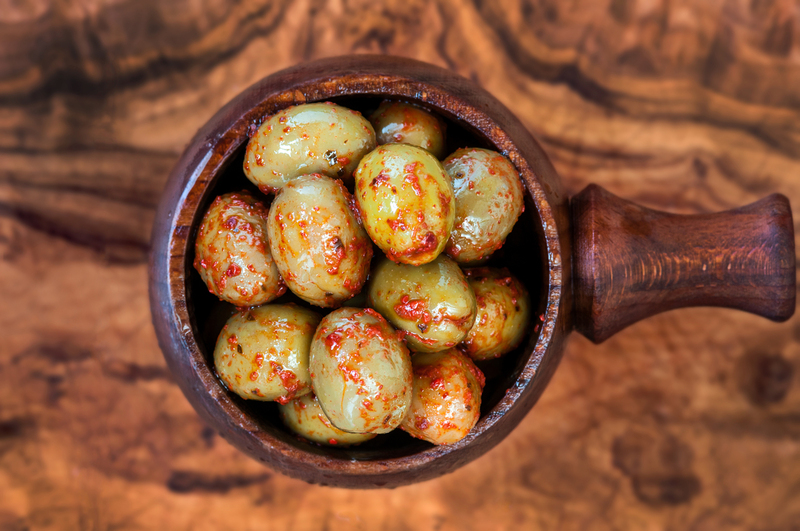 The Chalkidiki Olives are a nice meaty olive and we marinate them with our homemade harissa. We make the proper harissa so they are spicy... but these olives are so moreish that you will demolish a bag in moments. Green Super Mammoth Olives (97%), Harissa (3%).